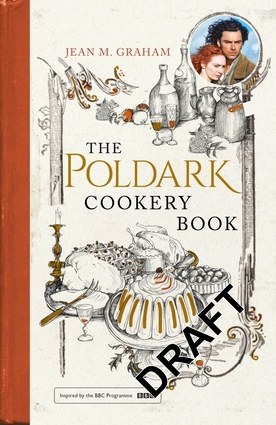 It was a meal worthy of the age, the house and the season… This beautiful new edition of The Poldark Cookery Book presents the recipes and the wherewithal for you to cook up your very own Poldark Christmas. Along with dozens of festive treats inspired by the Poldark series, here there are ample homey recipes for traditional West Country fare. From Figgy 'Obbin Pudding to the Nampara staple of Baked Pilchards, there are both inventively thrifty and sumptuously indulgent recipes aplenty which will delight fans of the Poldark series and food enthusiasts equally. Jean M. Graham grew up in Cornwall and was married to Winston Graham, author of the Poldark series, for many years.